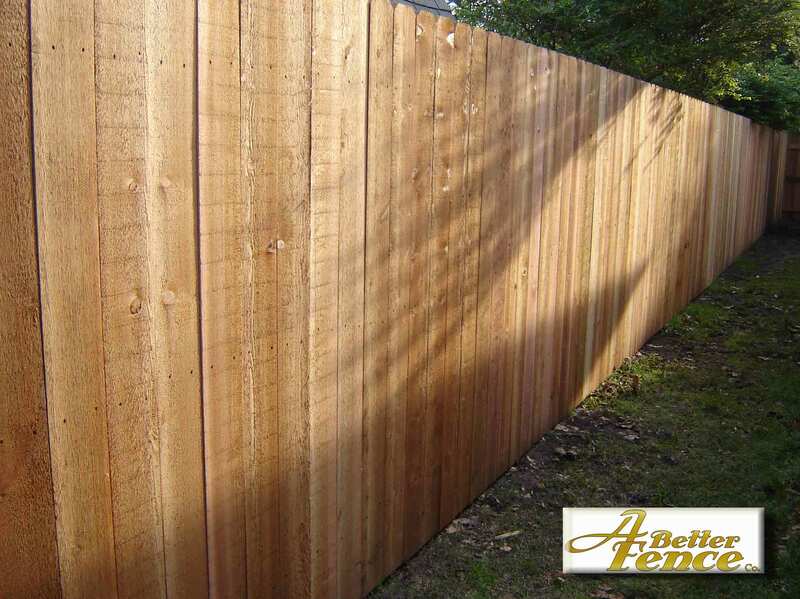 Built on site: For a custom look, rather than slapping up a few panels, we build your fence on site, picket by picket. Overall, the look comes out a little better in our opinion than the traditional panel. 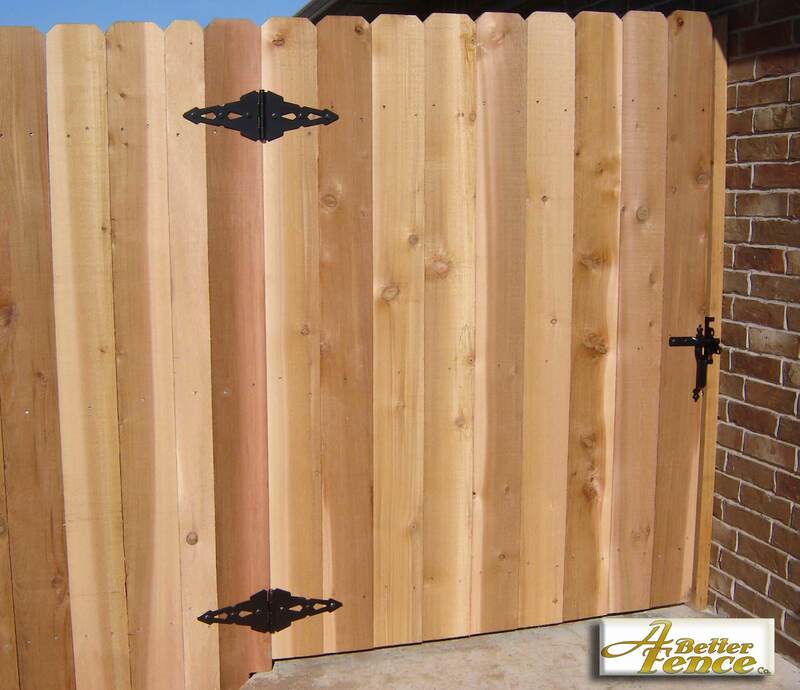 99% of the wooden fences we install are built picket by picket on site. The Pickets: (The Western Red Cedar pickets are 5/8" in thickness. The width may vary from 5 1/2" to 6". 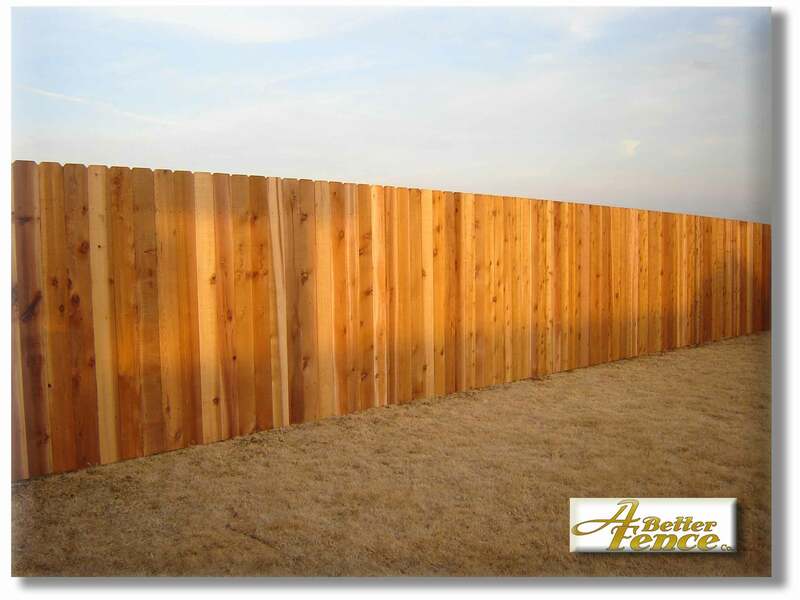 The 2x4 backrails: We order the thicker, 1 3/4" Western Red Cedar type. Some companies install the 1 5/8" thick 2x4 which is thinner. 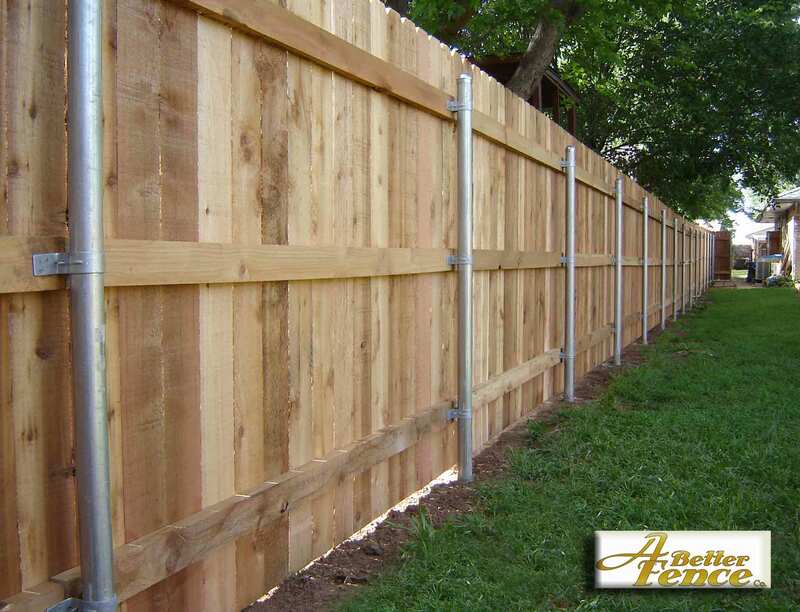 The Contractor-grade Galvanized Steel Posts: We try to order only American steel posts, which from our experience are a little better in quality than steel from Mexico and China. 2 - 2 - 2 Nail Pattern: If you go to Lowes or Home Depot for them to install one of their panels, many of the pickets will be nailed with a 2-1-2 or even a 1-1-1 nail pattern. (This means one picket might only have 1 nail in the top rail, 1 in the middle rail, and 1 in the bottom rail.) For 6" wide pickets we normally use 6 nails per picket. The Simpson brand Strong-Tie PGT2 connectors: The Simpson "Pipe Grip Ties attach wood fence rails to metal fence posts, eliminating rotted and failed wood posts". The brackets are made with 12 Guage galvanized steel, approximately .108" in thickness. We find they are superior than all other brackets. 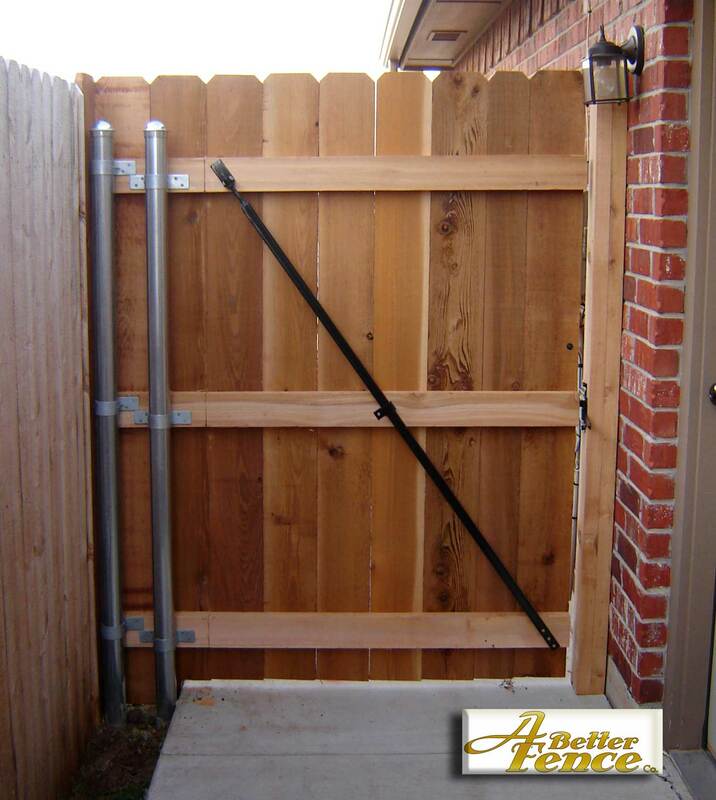 Easy adjusting metal gate brace: We custom make our own metal gate brace to make it easier to adjust your on gate when it is needed. Simply release the top nut, then tighten the bottom nut, to bring the gate higher for the perfect latch. 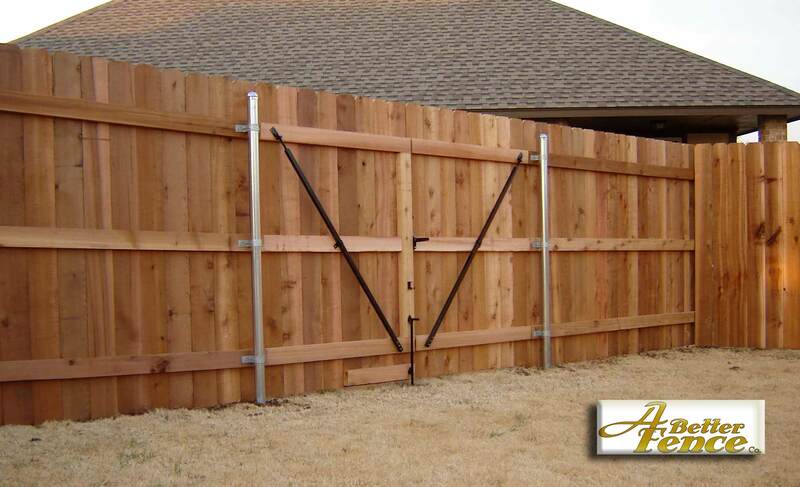 Built with some of the best materials available, excellent craftsmanship, and great prices, its no wonder it's our number one selling fence installation.